Apple CarPlay is now available for the car you already own through one of Pioneer's latest head units. In addition to the five existing NEX head units, Pioneer announced a new AppRadio 4 (SPH-DA120) which is also CarPlay capable. 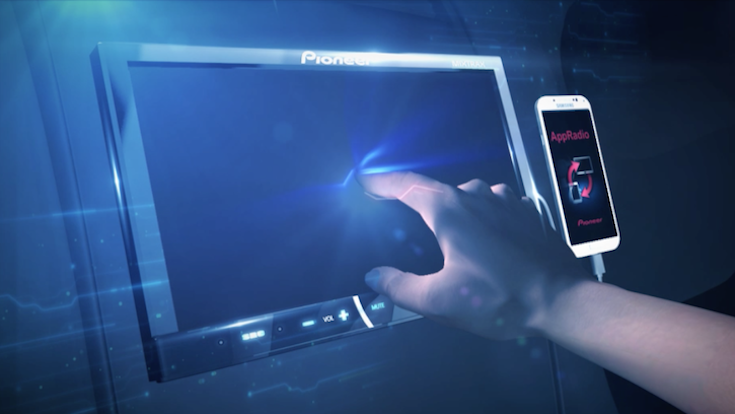 The AppRadio 4 puts CarPlay and Pioneer's own AppRadio Mode on the same device. AppRadio Mode has been allowing the use of smartphone apps in the car since 2011 and features many more third-party apps than CarPlay. Looks like Pioneer will continue to support and develop AppRadio Mode at the moment, but for how long? With CarPlay's arrival, AppRadio Mode may be on its way out. The main reason we think Pioneer's smartphone integration technology may lose popularity is because of the way it needs to be accessed. If you own a NEX receiver, you know what I'm talking about. With NEX (and even AppRadio 4), you will either be able to use CarPlay OR AppRadio Mode. You can't switch between those interfaces with the click of a button. To use CarPlay, you need a lightning to USB cable connected to the USB port 1 on the back of the head unit, turn on CarPlay on your iOS device and head unit, and you are good to go. AppRadio Mode, on the other hand, requires an HDMI connection and the use of the digital lightning AV adapter from Apple. The need for two different connections makes switching between the modes less feasible. Also, CarPlay works without any warning screens or safety messages like the ones that haunt the AppRadio Mode user experience. You plug in your iOS device and that's it! Apple's software is bound to be more popular than AppRadio Mode ever got. Existing issues in AppRadio Mode like the pop-up warning messages, screen resizing, etc. have persisted for long periods. The integration isn't very streamlined like CarPlay. AppRadio Mode does have a few advantages over CarPlay though. Firstly, over 30 apps are supported compared to only a handful of CarPlay apps. Also, AppRadio Mode can be used by both, iOS and Android users, while CarPlay is obviously iOS-only. Time will tell how AppRadio Mode goes from now on. Whether interest in the technology persists or not will depend on the advancement of CarPlay and how soon Apple can bring third-party apps on board. Google's Android Auto may also have a part to play in the eventual demise of AppRadio Mode. Yup, appradio mode is done.... after experiencing CarPlay I see how it is supposed to be done... Appradio mode is an annoyance at best. Appradio was dead long before CarPlay came along. It was buggy and unreliable from the start, and Pioneer barely maintains or develops it.